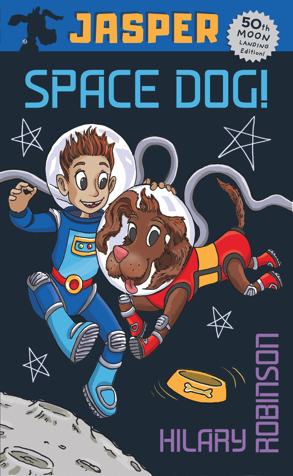 Jasper Space dog, is published on April 4th 2019 to mark the 50th anniversary of the moon landings and Neil Armstrong’s historic walk. 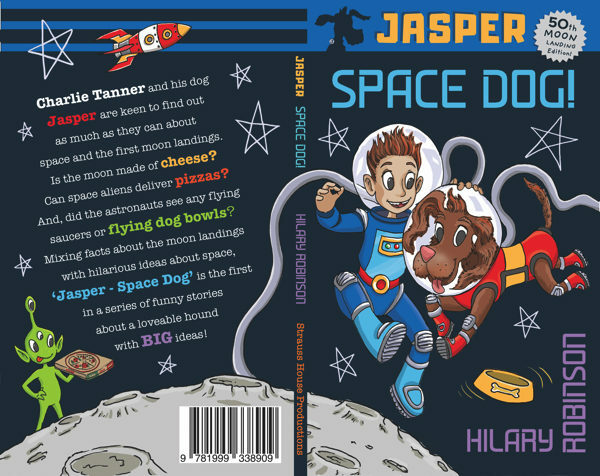 Written by award winning author, Hilary Robinson (Mixed Up Fairy Tales/Where The Poppies Now Grow) Jasper: Space Dog is delightfully illustrated by Lewis James, a Prince’s Trust Ambassador. Lewis is mentored through Strauss House Productions by Mandy Stanley. Working alongside literary consultants, an expert in planetary science the story cleverly interweaves established facts and hilarious ideas about space, space travel and the moon landings. Told in the form of letters, Charlie Tanner and his dog Jasper consult experts with a view to achieving their own astrophysical ambitions.